Forty years ago this month, Apple introduced their first product - the Apple I (also known as the Apple-1). Billed as a "fully assembled" system, in fact it was just a bare board to which the user had to add a power supply, case, keyboard, monitor and to be of any use a cassette interface was available too. Based on the 6502 processor launched the previous year, the Apple I was a major step-up from the KIM-1 single board computer, although it was more than twice the price at $666.66 (around $2400 in today's prices). The KIM-1 was a primitive device compared to the Apple, which had 4KB of RAM as standard (expandable to 48KB), could output 40 x 24 characters on a composite video display, and when supplied with the cassette interface it could run BASIC. Only around 200 units were ever produced, many of which were traded in for Apple II systems introduced in 1977. Maybe 60 or so Apple I machines still exist and examples can sell for hundreds of thousands of dollars. 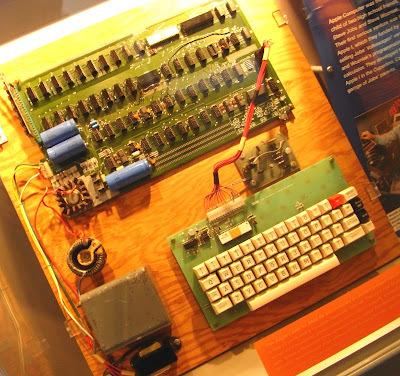 Each system was hand-built by Steve Wozniak in the garage of the parents of Steve Jobs. The Apple I was on the market for a little over a year before it was replaced by the Apple II, the iconic 8-bit computer that sold around six million units. Technologically it wasn't much of a step up from the Apple I, but the II really was a fully assembled device that anyone could use rather than a hobbyist system. The Apple II continued in production for 15 years. 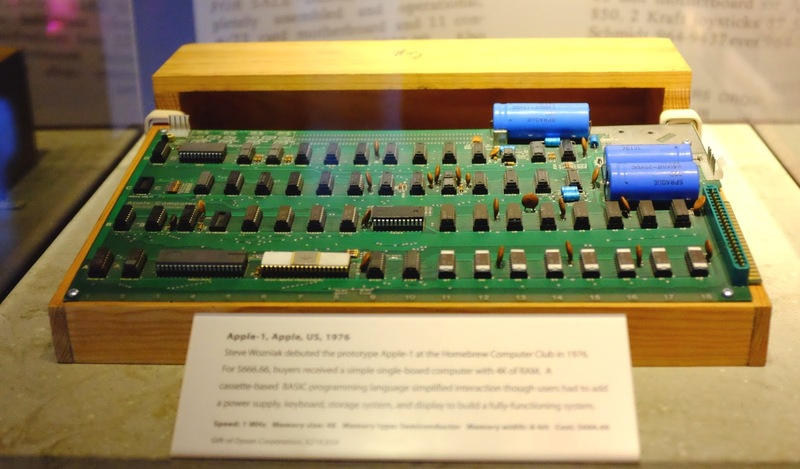 Although it sold in tiny numbers, the niche success certainly helped set up the Apple II and that is certainly a machine that transformed the early microcomputing scene. But if you want to see one.. go to a museum.